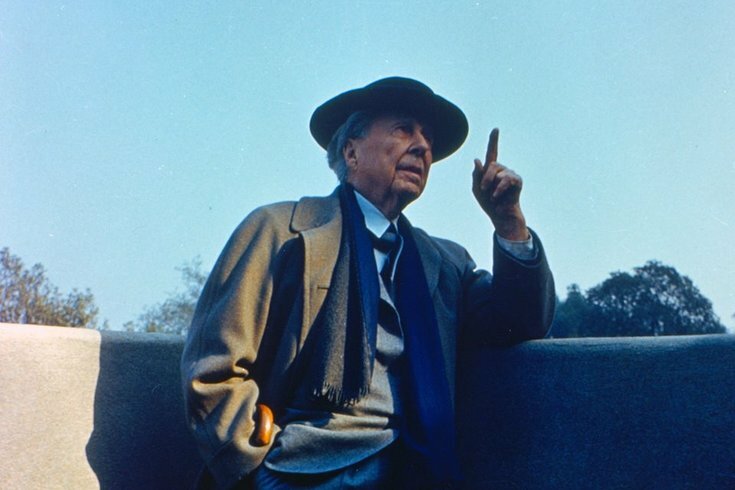 A photo of Frank Lloyd Wright. Famed architect Frank Lloyd Wright designed four homes in New Jersey, and one of them is currently on the market. The home, called the James B. Christie House, was built in 1940 and sits on seven acres of woodlands in Bernardsville, Somerset County. It embodies Wright's Usonian concept of modern, typically small, single-story American dwellings. A Zillow ad posted four days ago lists the home at $1,450,000. It has three beds and four baths and is constructed from cypress, brick, and glass. Other amenities include a two-car garage, a separate artist studio, a fireplace and updated appliances. From photos online, it appears the house is an L-shape, typical of Wright's modern style. You can see photos of the exterior and interior of the home here. According to Zillow the house originally sold for $450,000 in February 1994 and then wasn't on the market again until 2015, when the value increased by more than 270%, selling for $1.7 million. Since then, the house has changed hands every year, fluctuating between $2.2 million and it's current price. The property's interior originally measured around 2,000 square feet, but by the time it had sold in 1994, it had been expanded to about 2,700 with the addition of a master suite created by preservation specialists. The master bedroom had been part of original plans for the home but was not initially constructed, Curbed reported in 2016.